BREAKING. SABC hasn't fired anyone based on Auditor-General's report . . . ''yet''. You're reading it here first. The SABC is fuming mad about ''incorrect'' media reports out today that claim that four high level SABC executives were suspended. The SABC says it's not true that Robin Nicholson (chief financial officer), Mvuzo Mbebe (group executive: content enterprises), Mabela Satekge (head of procurement) and Anton Heunis (head of audience services) have been suspended by the SABC's interim board after last week's report into irregularities at the public broadcaster by the Auditor-General. ''These media reports are incorrect, with the intent to mislead the public and they undermine the processes which have been set-up to deal with the contents of the Auditor-General report,'' says SABC spokesperson, Kaizer Kganyago. And the inclusion of the word yet, means . . .? Defender of the Earth. The 11th Hour producer in Cape Town. Producer and environmental activist Stephan McGuire, producer of the movie The 11th Hour (the powerful film with Leonardo DiCaprio that highlights the global environmental crisis) is in Cape Town on 21 October. Stephan will, in an interactive evening, be giving insight into the filming of the movie and the experts' opinions, together with guest speakers. Audience members will be able to ask questions. The event, from 19:00 to 22:00 on 21 October cost R150 and takes place at the MTN Science Centre at Canal Walk, Cape Town. TO book, you can email Timea at timeak@globalcarbonexchange.com for more information. BREAKING. Changes at eNews. Newsies switches hot seats. Guess where Debora Patta's going . . .
You're reading it here first. Feisty newshound Debora Patta has resigned as editor in chief of eNews to - as she says - ''follow my passion for journalism''. Staff were told this morning. Taking over from Debora is Patrick Conroy, who becomes general manager for eNews, in this newly created position. Both in my opinion are excellent. Both are experienced, highly skilled and uber journo's with a exceptional caliber of work, news cred and come with years of bona fide hands-on journalism under the belt. Debora will now focus solely on 3rd Degree. 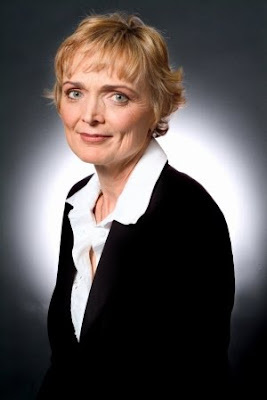 She took over as eNews chief in 2005, but stayed on as host and executive producer of 3rd Degree. Debora will take on the role of chief anchor and will continue producing and hosting 3rd Degree as well as train and mentor e.tv's TV journalists. BREAKING. M-Net glad about Glee. You're reading it here first. I was first on 9 September to break the news that M-Net's got the rights for the new, and most-buzzed about new show of the new America TV season, Glee which starts this Sunday at 18:00 on M-Net. I've already watched the first four episodes of Glee. Awesome show! Of course, I knew it immediately. You know you're watching quality after the very first minute. I even downloaded some of the songs which are available immediately on iTunes right after an episode. I've been singing along and listening to ''Don't stop believing'' - the song you'll hear at the end of the first episode, and that fits with this image above of a musical number the school kids perform at the end. It immediately went into high rotation on my iPod! The viewership for the show in America is now HUGE. 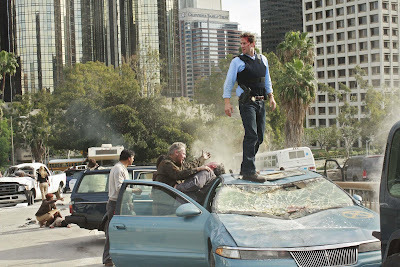 The show is the number one break-out hit for the Fox network in America. M-Net that has now suddenly realized that the show is HUGE, is discovering that its brought a little TV gem! 1. I asked M-Net what will be done about Glee when I heard the news originally and spilled the beans about Glee landing on the broadcasting schedule. The response was a bit nonchalant. 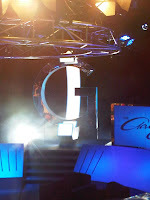 2.I asked M-Net again what will be done about Glee when I did a set visit for The Gareth Cliff Show last Monday. The response was a bit nochalant. M-Net just sent word about how the channel is super stoked and delighted and full of glee about Glee and how the show will be broadcast on M-Net closer than any other international series. Not quite correct. M-Net is correct in that it will be the first brand-new show its STARTING to show closest to the show starting in America, but last year Smallville, Desperate Housewives and Grey's Anatomy were all shown but sooner here (although not new shows) than the four week's M-Net will be behind Glee. I don't mind. I'm just happy. It's a deserving, very well produced and wonderful show. Enjoy. Wait for that last song at the end of the first episode on Sunday. You won't stop believing. I promise. BREAKING. SABC3 is getting Bold. You're reading it here first. The Bold and the Beautiful, the most successful international soapie is moving from SABC1 to SABC3. Sortof. SABC3 is adding Bold episodes to the channel's programming line-up starting Saturday 10 October at 12:00. SABC3 will be showing an omnibus, every Saturday from 10 October, between 12:00 and 14:00 of the week's episodes that was flighted during the week on SABC1. The channel says viewership research indicated that the soapie's aspirational (read: wealthy) values fits better with SABC3's channel ethos, which is the only public commercial broadcasting channel of the SABC3. Does this mean Bold will relocate to SABC3 permanently in future? The chance is very good that SABC1 will now lose(read: give away/exchange) The Bold and the Beautiful in the future, but moving the repeats to SABC3 is just the first step in a two step approach. The SABC's latest soap swop (read SABC1 and SABC3 working in conjunction with each other) can be left as is, after just implementing this new repeat channel hopping strategy (which would already be a success). Should SABC1 and SABC3 go all the way and move Bold over entirely (which would be a double success, it would even more be a win-win, situation, so I don't see why they won't do that in future. And here's why. SABC1, SABC2 and SABC3 already found success with migrating Days of Our Lives which used to be on SABC1. Days moved from SABC1 to SABC3, with the repeats going out daily on SABC2. Days of Our Lives is now the NUMBER ONE show for SABC3, an incredible success, given that the show also has an afternoon timeslot when less viewers are available. The show is not only pulling in the most viewers for SABC3 on a daily basis, in any given week, for 5 days a week, it's also doing so during the later afternoons. By moving Bold's repeats to SABC3, it would leave precious morning programming open on SABC1 that SABC1 will DEFINITELY fill with local programming that the channel is preparing as we speak for the World Cup next year. SABC1's mandate is LOCAL PROGRAMMING and should SABC1 in fact be able to move Bold's main broadcasting during primetime to SABC3 at some future date, it will open even more precious broadcasting timeslot real estate for 2010 LOCAL PROGRAMMING which SABC1 is definitely looking for and would be grateful to have. SABC3's weekly entertainment news show Flash! with Viwe Soga and NOT-Isabella de Villiers (she who got fired! although, like e.tv, SABC3 doesn't like or ever actually USE that word), is not cancelled or going away. SABC3 says there's ''high hopes'' that the show will be back, although it will be retooled. You're reading it here first. This programming note - CNN just told me that Christiane Amanpour's secured an exclusive TV interview with Zimbabwe president, Robert Mugabe. Viewers can tune in to see it in Amanpour, Christiane Amanpour's new daily news show on Thursday night at 21:00 on CNN International (DStv 401). Tomorrow night Christiane sits down for the exclusive interview, the African head of state's first with a Western TV channel in years, to talk about rampant inflation, empty food shelves, whether power sharing is working, who he thinks is responsible for his country's economic and political turmoil and what it is that he wants from the international community. After this rare interview, he's supposed to appear at the United Nations in New York on Friday. BREAKING. SABC3 wants Oprah. And Whitney. ASAP! You're reading it here first. SABC3 has The Oprah Winfrey Show already as a weekday talk show and today re-confirmed what I already told everyone, namely that the new season will start in January. But SABC3 is now NOT content to wait until then. At least, not for a certain episode. Or two. The new season that just kicked off in America, starts with a special two parter, which ran over two consecutive days, of Oprah Winfrey's exclusive sit-down interview with Whitney Houston. SABC3 is now in high-level negotiations with Harpo and the international distributor to get those two episodes of Oprah, interviewing Whitney, as soon as possible. SABC3 wants to get special permission to lift those two episodes and broadcast them for viewers as soon as is humanly possible. SABC3 will then show them again later, when the normal new season starts at the beginning of 2010. ''We want to get Oprah's Whitney interview earlier. As soon as possible,'' SABC3's head of publicity, Gesh Conco told me this morning. You're reading it here first. Kelly Khumalo has been fired from e.tv's soapie Rhythm City for, as sources tell me ''extremely difficult and unprofessional behaviour on set''. As I understand, Kelly, who played Sunay since 2008, has been difficult and extremely hard to work with for a VERY LONG TIME. According to sources, the singer also often showed up late. E.tv doesn't use the word FIRED. ''Kelly Khumalo has not been fired from Rhythm City,'' says e.tv spokesperson Vasili Vass. Not a word on difficult diva behaviour. You're reading it here first. The SABC3 worker responsible for the Survivor: China finale fiasco when SABC3 botched the broadcast by NOT showing a whole segment, is still sitting home. 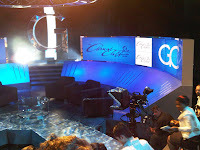 The channel unleashed massive viewer fury when it didn't broadcast a segment during the broadcast of the final episodes on 31 August, cause by human error in the final control box. ''The person is still suspended,'' SABC3's head of publicity Gesh Conco told me when I asked about what happened in the wake of the big mix-up. ''It was a technical fault, but it was human error. The person has not yet been back to work,'' he says. The Auditor General has found MILLIONS OF RANDS OF WASTEFUL, IRREGULAR spending which it details in its report to the government today. Ismael Vadi, the chairperson of parliament's communications portfolio committee called it a ''monumental failure'' of SABC management. He said he was ''shocked at the extent of the rot''. *7 tenders awarded for R174 million, not correctly approved. *The former group chief executive entered into a material agreement for R326 million with a consultant, although not allowed to. *Massive problems in the process of buying international TV shows, even though a forensic audit in August 2007 showed massive irregularities and problems. *Irregularities of R111,7 million relating to double payments, over payments, paying but not receiving goods/services. BREAKING. 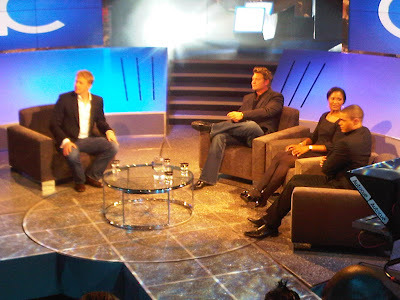 First look at The Gareth Cliff Show on M-Net and other show scoop! You're reading it here first. This is the very first look at The Gareth Cliff Show that kicks off on Thursday at 20:00 on M-Net and I can give you photos first! Some more scoop: The topic of the very first episode of Gareth's new TV talk show is: ''Heritage day'' and the studio guests are the ones that you see in the photo above (yes, it's funnyman Trevor Noah far right). 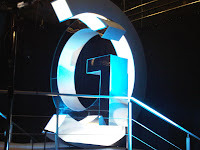 *The set was designed by Michael Gill, also responsible for the All Access set, as well as e.tv's new lobby. *I've counted the audience seating while I attended the recording of the first episode on Monday night, and it will have 73 people, neatly arranged in a concentric seating design over 5 towering rows of chairs. *Gareth will make his first appearance dressed in a white shirt, black jacket, blue jean and brown belt. *The show will incorporate an interactive element - audience members get the chance to vote on interactive ''eggs'', and viewers at home will be able to vote as well. *The show is filmed with 3 floor cameras, 1 crane camera and 1 steadycam. 02:02 It's 2 minutes past 2 and the Emmy has just started. Great opening ditty by host Neil Patrick Harris. He's funny. The set looks GREAT! 02:05 Neil Patrick Harris laments the loss of the TV theme song, by looking at the non-existent themesong of Lost. 02:11 The Emmy stage floor is high sheen, polished black perspex. 02:20 Best writing for a comedy show goes to 30 Rock. 02:25 Best supporting actor in a comedy series goes to Jon Cryer in Two and a half Men. 02:26 Lovely trivia in the announcer who does voice-over TV trivia while winners make their way to the stage. 02:30 I just got the first of my 2 daily newspapers that gets delivered and its a commercial break so I'm quickly making coffee and gonna start the first newspaper. 02:35 The Emmy for lead actress in a comedy series goes to Toni Collette. Sarah Silverman has a moustache. Not a real one. 02:50 It's cool how Neil Patrick Harris chooses the most obscure TV appearance ever when introducing some of the presenters. 02:51 ''Alec Baldwin will soon be the GE chairman''. HILARIOUS! Alec just won for lead actor in a comedy series. 02:58 ''You know her from Scooby Doo and the Goblin King. . .'' Jeff Probst wins ANOTHER Emmy as best reality host. 03:08 The best reality show is again, as always, The Amazing Race. 03:09 ''Thanks guys. UPSET tonight at every turn,'' says Neil Patrick Harris. 03:26 You almost won't see it, the camera pans over so quickly, but there's A LOT OF EMPTY SEATS in the Emmy auditorium in the Nokia Theatre. 03:27 Litte in-joke. Patricia Arquette is presenting with Jennifer Love Hewitt. In America Patricia's Medium will be on TV on the same night and side by side with J Love's Ghost Whisperer. Medium has now jumped to CBS where Ghost Whisperer is. 03:30 Neil Patrick Harris does a little Dr. Horrible's Sing-a-long blog. SUPER FUNNY bit ''The end of TV is over''. 03:32 DR HORRIBLE'S SING A LONG BLOG BIT THE BEST OF THE NIGHT SO FAR! 03:46 The Variety category is starting. 03:55 To introduce the writers from Conan O'Brien he had a facebook page and deleted everyone's names who have sent friend requests. Funny. 04:05 The Emmys have now been going for 2 hours. 04:16 The category for Drama is starting. Cool intro. 04:20 Michael Emerson wins for best supporting actor in a drama series. 04:21 Cherry Jones wins for best supporting actress in a drama series. 04:23 Sarah McLachlan is singing ''I Will Remember You'' for the In Memoriam tribute. Sad. 04:37 Mad Men wins for best writing for a drama series. 04:40 Lead actress in a drama goes to Glenn Close for Damages. Again. 04:50 Bryan Cranston wins for lead actor in a drama series for Breaking Bad. Again. 04:55 30 Rock wins for bet comedy series. 04:56 Tina Fey: ''I want to thanks NBC for keeping us on the air even though we are so much more expensive than a talk show.'' Ooooh. 05:00 Signourney Weaver is presenting the categories for best drama series. 05:01 Mad Men wins for best drama series. Again. 05:03 Exactly 3 hours and 3 minutes. And its over. ''May the Emmys be back on broadcast television again,'' says Neil Patrick Harris. You're reading it here first. 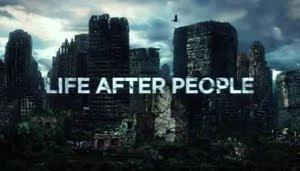 Life After People: The Series will start in November on The History Channel (DStv 254). Following the success of the two hour TV special last year that shows how everything that mankind has created will wither, crumble and fade away after human's disappear, there is now a ten part TV series that will start in November. 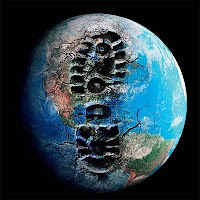 The ten episodes continues the exploration of what would happen to the world we leave behind and how long things would last (oil refineries - not long; the gold in underground bunkers - very long). Watch in vivid detail as we get a glimpse on what man made structures would tumble quickly, and which things from our civilization would last - after we're gone - for millions of years. You're reading it here first. Check below for a list and starting dates of some of the new and returning Discovery Channel shows worth watching in the last bit of the year - including a new season of Ultimate Survival with Bear Grylls. Explosives experts dr Braden Lusk and dr. Paul Worsey get a backstage pass to the world's biggest and toughest demolition blasts from urban skyscrapers and massive steel bridges to giant stadiums. Captain Sig Hansen is back aboard for another treacherous season of crab fishing, but storms - personal, natural and financial - are brewing. The test driving panel's back with more razor sharp driving, hard hitting motoring advice and a lovingly compiled selection of some of the best cars in the world. A front row seat to the most terrific explosions, from well-planned ones to awesome unexpected Ka-booms! Mike Rowe tackles more filthy, stinky, unthinkable jobs that somebody has to do. Jonny Smith gets access to some of Europe's biggest and most exciting industries and gets close to extraordinary machines, processes and experience the awesome scale of big industry. 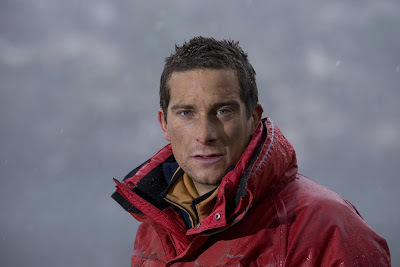 Bear Grylls is back and being dropped in more remote and harsh environments to survive on his own with nothing as he makes his way back to civilization. The biggest and most awe-inspiring machines on the planet - that will include some South African mechanical beasts you have to see to believe! Incredible stop-time and time-slowing cinematography creates this breathtaking and astoundingly beautiful show as your eyes get to see what happens usually so fast that it's invisible. Watch as things as slowed down so much that you can see how things burst, explode, vibrate, scatter and expand in milliseconds. 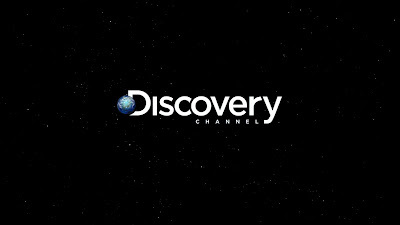 The best Discovery Channel shows will run from 30 November until 25 December. You're reading it here first. You can check the list below for some great shows coming your way in the last bit of this year, as well as the first quarter of next year on Animal Planet (DStv 264). 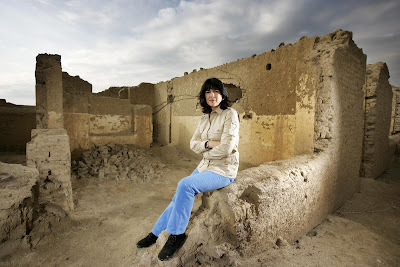 A follow-up on the excellent geographic exploration series of Earth in November. 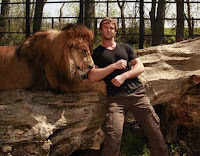 Fantastic new show in December with big cat expert Dave Salmoni in the Kalahari desert. He grows a beard as he goes in search of a pride of lions with whom he intends to hunt, sleep and communicate. With the 61st Primetime Emmy Awards now 14 hours away, here is some insider secrets of what you can expect. I'll be LIVE blogging the whole event right here. *For the first time in 5 years LIVE MUSIC's returning the the Emmys. The 17 piece band will be onstage throughout the show (and will include Michael Bearden who was Michael Jackson's last music director and percussionist Lenny Castro from Fleetwood Mac). *Get ready for an EMOTIONAL HAUNTING BALLAD. Sarah McLachlan will sing her song ''I Will Remember You'' live during the In Memorian segment as a tribute to the TV stars and industry people who have passed away in the last year. *More music. This year's Emmy host, Neil Patrick Harris will incorporate a SPECIAL SONG written as the Emmys is happening to celebrate the winners, just as he did with his previous hosting gig of the Tony Awards. *The awards this year are ORGANIZED BY GENRE, starting with comedy and ending with drama - so that it plays out as a TV story, with a beginning, middle and compelling end. *NO BORING SPEECHES. Every nominee has been told in no uncertain terms that they will be played off with music if their acceptance speeches are boring, not to the point and not speaking to viewers directly. Acceptance speeches sounding like rambling lists will be played dead. *There will be FEWER PRESENTER COUPLES and couples this year will hand out MORE AWARDS which will save time. 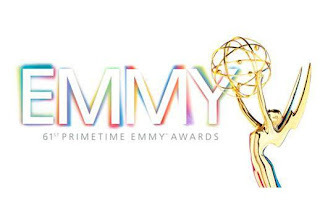 This is a blog and since TV's biggest night is happening in the wee hours of Monday morning and South African viewers will once again be getting the chance to watch it LIVE, I will be blogging the 61st Primetime Emmy Awards LIVE while I watch it in HD. I'll sleep later on Monday when I get to the airport to dash off to Johannesburg and an M-Net visit later on Monday, but I'll definitely be up, and you can join me on Monday morning from 02:00 for my thoughts on the Emmys red carpet coverage as well as the live ceremony. I will be the only South African TV writer blogging the event LIVE and I'll make sure that you don't miss any of the interesting, funny or important bits in print. BREAKING. Guess what local TV psychic is poised for her TV comeback . . .
You're reading it here first. (unless you're psychic too and simply knew it already). The psychic Mariëtta Theunissen is returning to primetime television to once again ''explore the other side''. Die Ander Kant met Mariëtta Theunissen is making a TV comeback on kykNET from 16 October, on Friday nights at 21:00 on kykNET (DStv 111). This comes after e.tv's own new psychic TV show, Your Date with Destiny with Belinda Silbert imploded spectacularly in July. Ratings nosedived and sunk so massively that the show was banished from its plush primetime spot and delegated to weekend afternoons on e.tv. 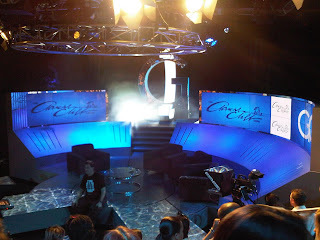 Die Ander Kant (''The Other Side'') was an unexpected and welcomed viewership success for the Afrikaans satellite channel kykNET (DStv 114) in 2004. Channel bosses smiled, viewers raved and people couldn't get enough of the blond woman telling tearful studio guests about family members who have passed on as well as revealing secrets from the realm ''of the unexplained''. Then, without warning, Mariëtta left. For New Zealand. The show stopped. But now she's back. The show will resume and kykNET has ordered several episodes with recording in front of a live studio that will start in early October. The news isn't out yet, but people who want to be a studio guest and possible get a ''reading'' from Mariëtta can send an email to dak@kyknet.co.za or send a fax to: 086 649 8926. You're reading it here first. It's been used elsewhere for a while but South African viewers will start to see this brand-new logo of the Discovery channel (DStv 250) from 4 October. The globe is now merged with the ''D'' and the font is thinner and the overall look and feel is more updated and ''space-agey''. Also, check the list below to see if one of your favourite shows is returning or starting in the last quarter of this year! I just spent some time with the Discovery channel people, looked at (AWESOME!) sneak peeks of some of these new shows, and when they start, you'll read about the great ones here FIRST. You're reading it here first. CNN just released the guest line-up for the first show of Christiane Amanpour's show Amanpour that starts on Monday, 21 September at 21:00 on CNN International (DStv 401). For the launch of her brand-new global news show Christiane will speak with Afghan president Hamid Karzai and Richard Holbrooke, the American special representative for Afghanistan. Among the upcoming political leaders and cultural icons that she will interview about global issues and events, are South African President Jacob Zuma, the former UK Prime Minister Tony Blair and former U.S. Secretary of State Madeleine Albright. The SABC has just extended the closing date for people to apply for the position of group chief executive officer. People now have until 29 September to apply, which was originally 7 September. ''We believe that a number of late applications were received,'' says Irene Charnley, the chairperson of the interim SABC board, who says the decision to extend the application deadline was made to ensure maximum transparency. BREAKING. Reaction to the new SABC board from the Save our SABC Coalition (SOS). . .
You're reading it here first. The Save our SABC Coalition (SOS) just gave their reaction on the new SABC board. ''The SOS overall welcomes the final SABC board shortlist. This time round the process included significantly more public participation and was more transparent than previous Board selection processes." So says Christiane Amanpour, the world's leading TV journalist who's own half hour news show called Amanpour that starts on Monday at 21:00 op CNN International (DStv 401). I spoke with Christiane who is in New York from where her show will be beamed every weekday starting Monday, about her new global news platform. I asked her what excited her the most about her work and this new opportunity and her is some of what she had to say. Check back all week this week, as I share some more of what Christiane had to say in the run-up to the debut of Amanpour on Monday, 21 September at 21:00 on CNN International (DStv 401). BREAKING. Here's the names of the new SABC board . . . The IFP voted with the ANC. The rest of the opposition said they’re disappointed that the ANC would not negotiate, and stuck to their alliance party candidates. COPE, ID, and the DA put on record their objection to those they were against. You're reading it here first. The local movie White Wedding is South Africa's official entry for an Academy Award next year in the category for best Foreign Language film. If the Oscar selection committee approves it, White Wedding that did very well at the box office earlier this year since it was released in April, will compete at the 82nd Annual Academy Awards in Hollywood as a great feel-good film in this category. The National Film and Video Foundation (NFVF) is officially recognized by the Academy of Motion Pictures, Arts and Sciences as the body to represent South Africa and makes the submission on behalf of the South African film industry. ''We are very excited that a very deserving film has been selected to represent South Africa. The performance of the film has shown that this is a film that will resonate with audiences around the world'' says Eddie Mbalo, CEO of the NFVF and chairperson of the SA Academy Awards Selection Committee. BREAKING. Michael Lee, hunger striker angry at the SABC, is eating again - but he has a message . . .
You're reading it here first. Michael Lee, the TV producer who went on a hunger strike in protest against the SABC, is eating again. ''People keep asking us what we want, why it is worth starving. And we keep saying, we're not starving, we're just taking a break from food to see what it's like, and to make a statement. The statement is in short the SABC belongs to the nation and the nation needs to be consulted''. BREAKING. Emmys now broadcast LIVE in HD as well on M-Net HD! You're reading it here first. Check below for M-Net's other Emmy broadcast options, but it just happened right now and M-Net is now going to show the 61st Primetime Emmy Awards now in full high definition (HD) as well, LIVE and on the M-Net HD channel (DStv 170)! 1.The 61st Primetime Emmy Awards will go out in HD on M-Net HD from 02:00 until 05:00 this Monday morning, 21 September. 2.The HD broadcast - and only the HD broadcast (also because it's starting at 02:00) - will include and feature the Emmy's official PRE EMMY RED CARPET SHOW! 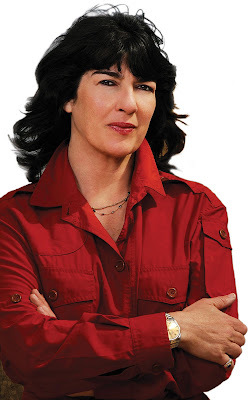 So says the world's most recognized TV journalist Christiane Amanpour in New York, when I spoke with her about the global debut of her new weekday half hour news show, simply titled Amanpour that starts on Monday, 21 September on CNN International (DStv 401) at 21:00. I asked Christiane, a roving global correspondent for CNN for the past two decades and who's renowned for her hard-hitting, objective and honest reporting around the world, whether she will still be travelling and reporting from the field. You're seeing it here first. Is this the logo of The Gareth Cliff Show that starts on Wednesday at 20:00 on M-Net? This is Gareth Cliff's personal logo which is what his self-titled, weekly half hour TV talk show could go with - although M-Net might still tweak it slightly, the broadcaster tells me. Gareth's talk show will be recorded to days in advance, and the first episode for this Wednesday will be recorded on Monday night at Studio 6 at M-Net's production studios in Randburg. 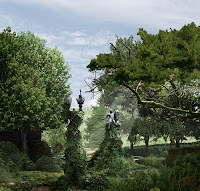 The first topic of discussion is STILL A BIT SECRET, but I will hopefully be able to tell you first early next week. You're reading it here first. The most interesting hour of television today would be Our World: Hollywood or Bust that BBC World News (DStv 400) has added to the schedule for this evening. Going to the movies was a popular source of entertainment during previous economic recessions. But today the market faces stiff competition from DVD and video sales, as well as downloads over the internet. How does a film make its mark during a recession and economic downturns? This BBC doccie with David Willis talks to people in the industry to find out whether Hollywood is recession-proof - or actually deep in debt. Also look out for Sumner Redstone, the head of Viacom who will be talking candidly about studio strategies when Hollywood struggles. You're reading it here first. E! 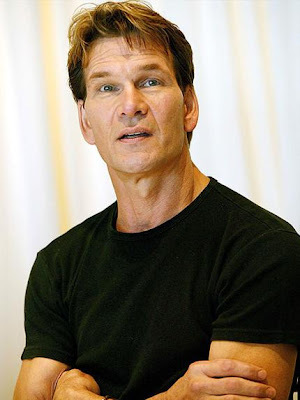 Entertainment (DStv 124) has just shuffled their schedule and has now added True Hollywood Story: Patrick Swayze to the broadcast line-up after the actor passed away from his battle with cancer. Only I have the adjusted dates and times and here they are. You're reading it here first. GREAT for M-Net, as the channel has quickly changed it schedule for Saturday to honour the late Patrick Swayze of Dirty Dancing fame, who just passed away after a long battle with cancer. M-Net has replaced and rearranged it's Saturday line-up for this Saturday, 19 September at 22:00 and has slotted in the AWESOME Ghost starring Patrick, Demi Moore and Whoopi Goldberg. Directed by Jerry Zucker, this brilliant movie tells the story of Sam Wheat who is shot and killed but comes back to save his fiance Molly Jensen. As a ghost he has to enlist the help of Oda Mae Brown, a phony psychic who turns out to be the real deal since she can see and hear Sam and has to relay his messages to his beloved. ''People want more understanding.'' So says Christiane Amanpour, the world's foremost TV journalist of our era when I spoke with her about her brand-new weekday show entitled Amanpour that will debut this Monday, 21 September at 21:00 on CNN International (DStv 401). I asked her why now? ''I can and want to use this opportunity to go further in depth and give more context and perspective to some of the many stories that I have covered over the last 20 years as a CNN correspondent,'' she says. And for those who fear that the intrepid TV journalist is kicking off and putting away her well worn boots and passports, guess again. She says she's not changing the muddy boots, crazy connecting flights and hard to reach places under difficult circumstances for bright studios lights in New York, studio make-up and a teleprompter completely. BREAKING. What TV news channel has the widest reach? . . .
You're reading the answer here first. A new study just out says CNN reaches a wider cross-platform audience (meaning people watching TV, on the internet and on cellphones etc.) than any other commercial TV news network. The results from Synovate's European Media and Marketing Survey comes as CNN International (DStv 401) is planning to go very big from Monday when Amanpour starts (Monday at 21:00), Christiane Amanpour's brand new daily TV show and the centrepiece of CNN International's new weekday schedule. Each month, CNN International reaches 44.1% of Europe’s top money-makers per month, 16% more than closest TV competitor BBC World News (38%). 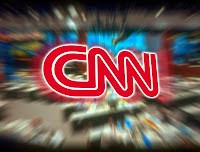 CNN International's new schedule heralds CNN's evolution into much more than a rolling news channel, says Tony Maddox, CNN International's managing director. BREAKING. FLASH FORWARD! M-Net has FlashForward! You're reading it here first. M-NET HAS FlashForward PEOPLE!! First, let's rewind. The new TV season just started in America. The HOTTEST and most BUZZED about show besides The Vampire Diaries (which I ALREADY WATCHED) and the new Melrose Place (which I ALREADY WATCHED, bit flat though), is FlashFoward with Joseph Fiennes. I CAN EXCLUSIVELY CONFIRM FIRST THAT M-NET HAS THE SHOW OF THE YEAR! It should appear on the schedule early next year, my guess would be early January. 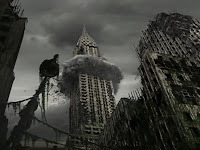 Hailed as the new Lost combined with Heroes, everybody on Earth blacks out for about 11 seconds, gets visions of their futures and the destruction of the Earth, comes to and has to figure out what it all means . . . and why it happened. And how to save the planet. Can't wait. Wish I could flash forward in time.